We were scarlet, ruby and crimson for last month's Love Cake theme of Red all over. You can see the round up here. For this month we moving away from colour and on to taste and texture. I'm looking for something small but what can make a big difference to a cake – seeds. 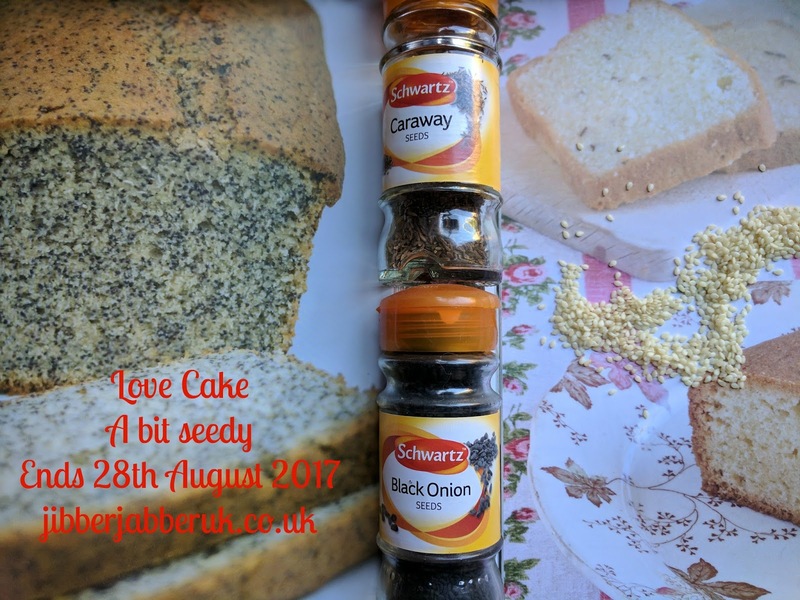 Think caraway, poppy, sesame, onion, sunflower and pumpkin seeds. You could also include fruits with seeds in them such as raspberries and strawberries. Therefore the theme for this month is A BIT SEEDY. 1. Please make sure your entry conforms to this month's theme of A BIT SEEDY. 3. Enter the URL (web address) of your post into the Linky at the bottom of this post. Once the link closes on Monday 28th August 2017 at 23:55 no more entries will be accepted. Wow! This seems like lots of fun! Keep up the great work!